The goal of this project is to ensure that UNCW Pre-Dental students can enhance our clinical experience in Wilmington's non-profit dental and medical clinic, Saint Mary's. This clinic provides quality oral health care to New Hanover County's most underserved residents, those who fall 200% below the poverty line or that lack health insurance coverage. The most frequently performed services are extractions and fillings that help alleviate acute pain and infections, improving the patient's overall oral health. 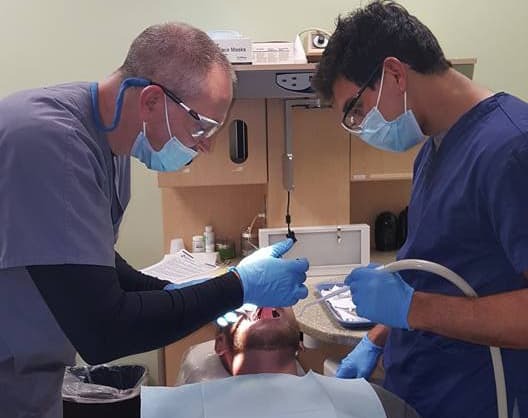 Simultaneously, St. Mary's facilitates a unique learning experience for its many UNCW student volunteers by creating an opportunity for UNCW students to work alongside dental professionals and UNC dental students. Through this, Saint Mary's has made UNCW Pre-Dental students highly competitive in their dental school application. As students who directly benefit from this learning experience, we have been inspired to help St. Mary's purchase much-needed dental supplies that will help keep this valued service available to those who need it most and enhance our clinical experience. While the patients they serve provide a small donation to the clinic in exchange for their service, it is not enough to maintain the supplies needed to handle the need in our region and we can do more to help, but we need your help! We need your help to bring a smile to someone's face. Our goal is to raise $2,000 to purchase supplies for the clinic that we can put to use to help members of our community who need it most. Donate today and share our project to help spread the word! A gift of $500 could cover the supplies needed to perform fillings for those in need for an entire day. Donors at this level will receive an exclusive video that highlights the work that we are doing at St. Mary's Health Center.